* Follow the dilution and application time instructions for light to medium cleaning as indicated by the cleaner manufacturer. 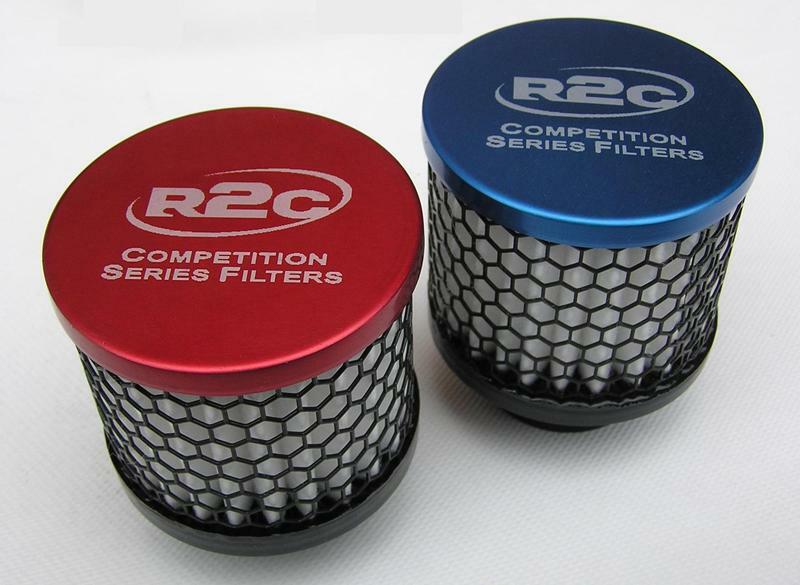 R2C Engine Valve Cover Breather Filters! All New Advanced Media Technology! R2C Performance valve cover breather filters are designed to offer racers the finest crankcase and tank breather technology available today. R2C's breather flange design improves oil return and significantly reduces the dripping caused by oil collected at the lower flange associated with competitors breather fllters. R2C valve cover breather construction also ends the problems associated with cap failures. HD screens eliminate crushed breathers. 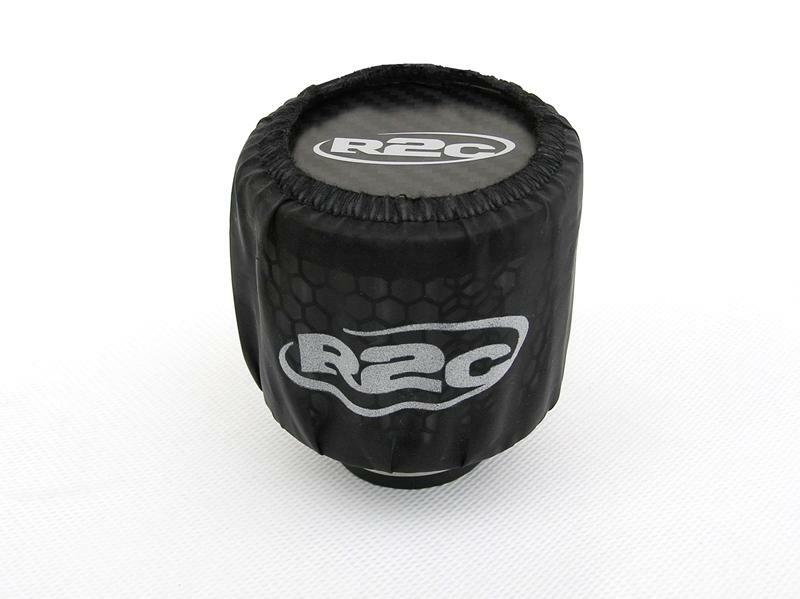 R2C breathers are fully washable and can be cleaned by soaking in biodegradable solvents such as Simple Green, etc. R2C valve cover breathers are available in red, blue and black anodized aluminum cap finishes as well as chrome plated shielded versions. Choose from 1.25 inch, 1.38 inch, 1.5 inch and 1.75 inch clamp-on breathers or 1.25 inch push-on applications. Order yours today!